Thiru Swettenham was left paraplegic, after a vehicle accident in 2013. 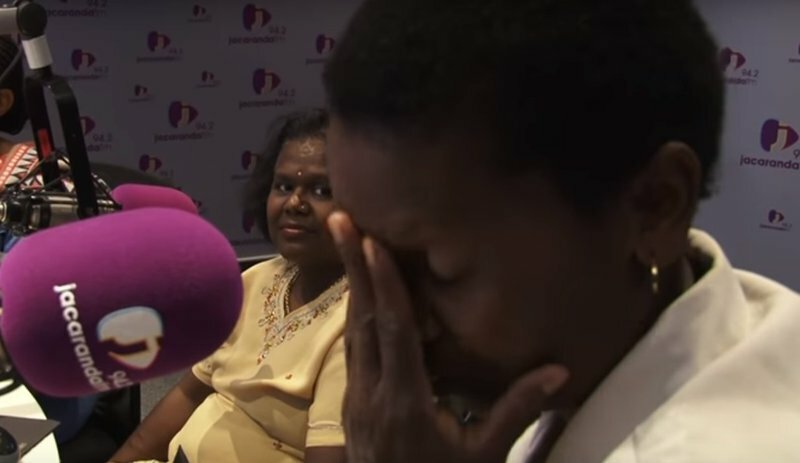 Her caregiver, Pauline Mogolane, gets a much-needed surprise ahead of the festive season. “Dear Breakfast team… you were the reason I could be in a good mood despite being laid up in hospital and recovering from four operations this year” Thiru Swettenham was left paraplegic, after a vehicle accident in 2013. It’s been a difficult process, but she remains positive, continues her career at the CSIR and draws inspiration from those who dedicate their lives to serving and assisting others. Thiru wrote to Good Morning Angels on behalf of one of these people, Paulina Mogolane from the Leseding Care Givers Association. Paulina assists Thiru on weekends, but during the week, her full time job is as care giver to orphan-headed households in Hammanskraal. Besides doing home visits and providing assistance during the week, the centre provides extra supervision for homework and meals to more than seventy children. SPONSORING: Roman’s Pizza will donate R20 000,00 towards Pauline - which she will use to pay for her son’s first year studies and some necessities for the family. Roman’s will also donate R15 000,00 towards the Lesideng Care Givers Association as well as three food hampers to help them feed and care for the 70 children they look after. Firstly let me thank you for inspiring me every day. I wake up with Jacaranda FM every morning - you were the reason I could be in a good mood despite being laid up in the hospital and recovering from four operations this year - thank you for putting a smile on my face. I am a paraplegic so life can be pretty difficult- but I am fortunate to have a support system and I have a career and am very positive about the future. But this request is for someone else. I am fortunate to have a care giver with me over the weekends - this is a woman who leaves her kids with her sister every weekend so she can assist me and my family. Her name is Pauline Mogolane- Pauline is extra special in that this is not her full-time job. During the week, she is a community worker working with Leseding Care Givers association whose team take care of orphan-headed households in Hammanskraal. This association needs help as their staff take care of children's’ needs- most of them rely solely on the state grant for their monthly expenses. They do not have much left over for anything and they eke an existence. In addition to regular home-based visits, on Saturdays, the centre is host to neighbourhood children and the centre provides extra supervision for homework and provides meals to more than seventy children. For some, this is the highlight of the week. The centre would appreciate any assistance in any form. I hope the Good Morning Angels team can spread a little love and goodness to support the selfless work that the community care givers provide to a vital part of society that is sometimes overlooked. Face it, we all read about the orphan-headed households - thousands of children needing assistance but do we often stop to think about who caters for them and how do they survive. Thanks to your team for the incredible work you do. You are SO inspirational.